Lately in Orkney we’ve been having a serious of storms and gales. They haven’t been dangerous or life-threatening, just coming in one after the other. Yesterday we had a break and a lovely day of chilly sunshine. Time for a trip out! 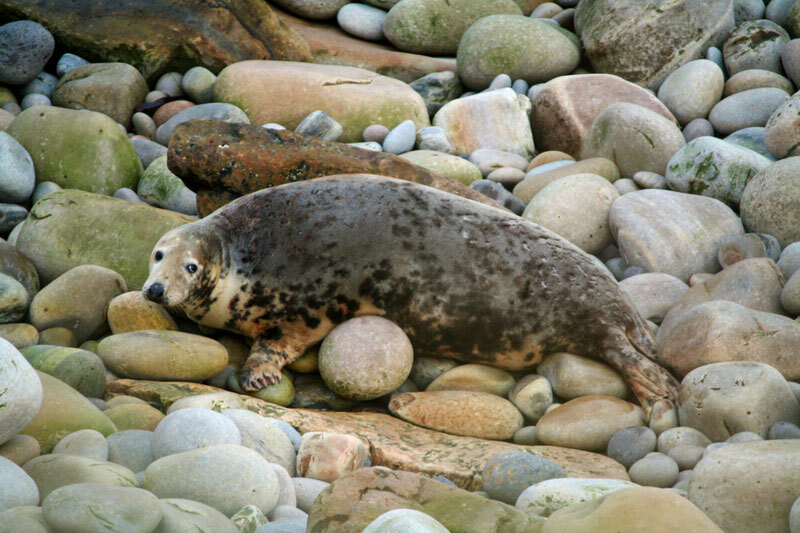 The change in the weather coincided with two things I’d been looking forward to: the Orkney Book Festival book sale and grey seal pupping season. A strange combination, you might think, but nowhere near as strange a combination as the pile of books I came home with from the sale. If you must know: Douglas Adams, Margaret Atwood, two books of beginners’ violin pieces, a biography of Daniel Boone, a book about piano playing, a lovely old collection of Washington Irving’s writings, Konrad Lorenz’s study of greylag geese and, most embarrassing of all, Alan Partridge’s autobiography. Should get me through the winter. 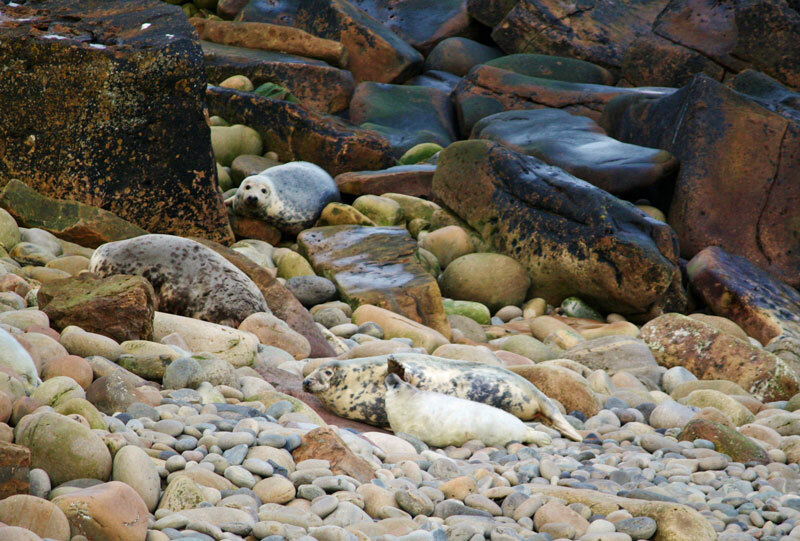 As both events were happening on the island of South Ronaldsay, we ventured across the Churchill Barriers that connect the southernmost islands of Orkney. These causeways were built by Italian prisoners-of-war to protect the natural harbour of Scapa Flow following the sinking of HMS Royal Oak by German U-boat U47 in 1939. 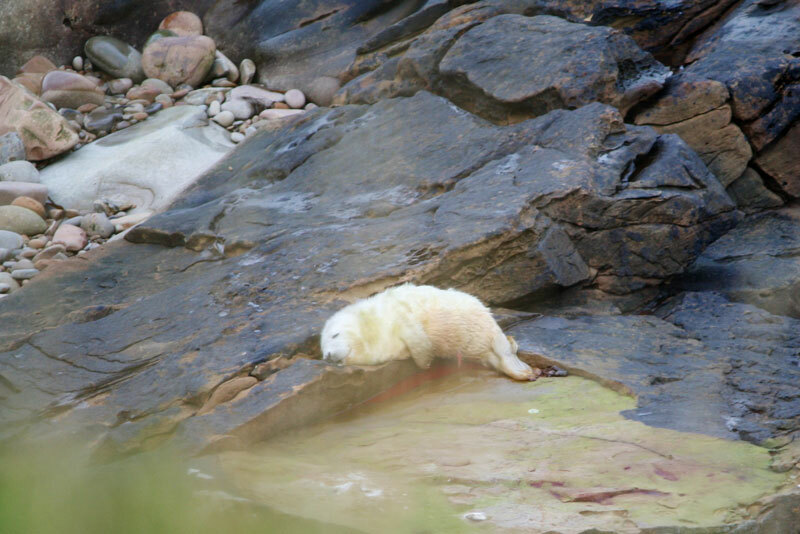 We perused the book sale, got a very nice lunch from the women at the cafe in the Cromarty Hall, where the festival was being held, then headed further south to look for seal pups. 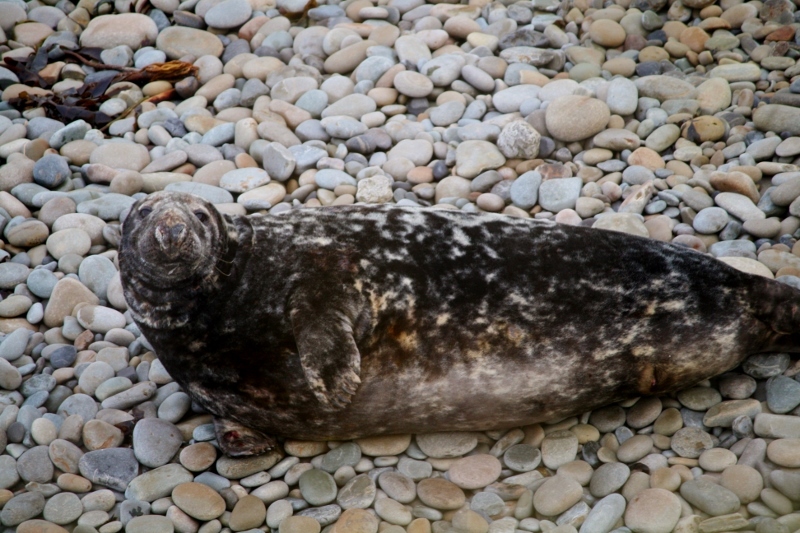 Britain has roughly 40% of the world’s population of breeding grey seals, and Orkney is the most important breeding centre for these lovely creatures in the UK. 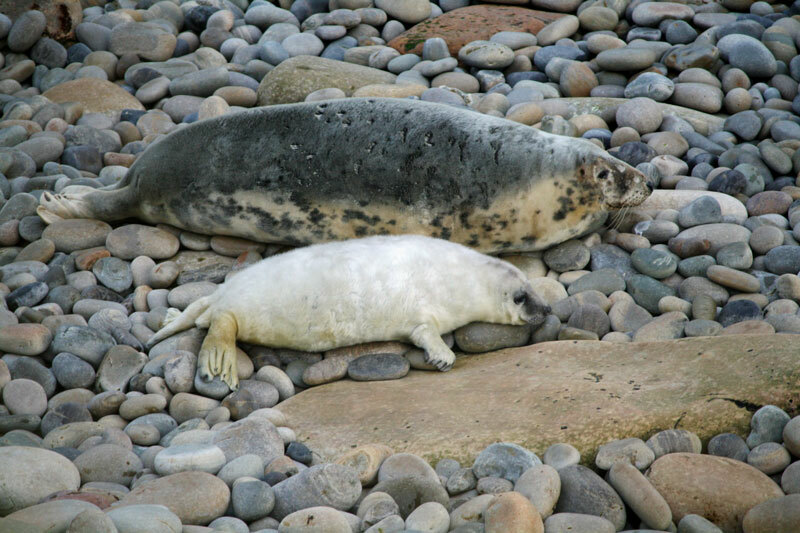 Females come ashore from October to December to give birth, and the fluffy white pups spend about three weeks nursing and putting on weight before heading out to sea. 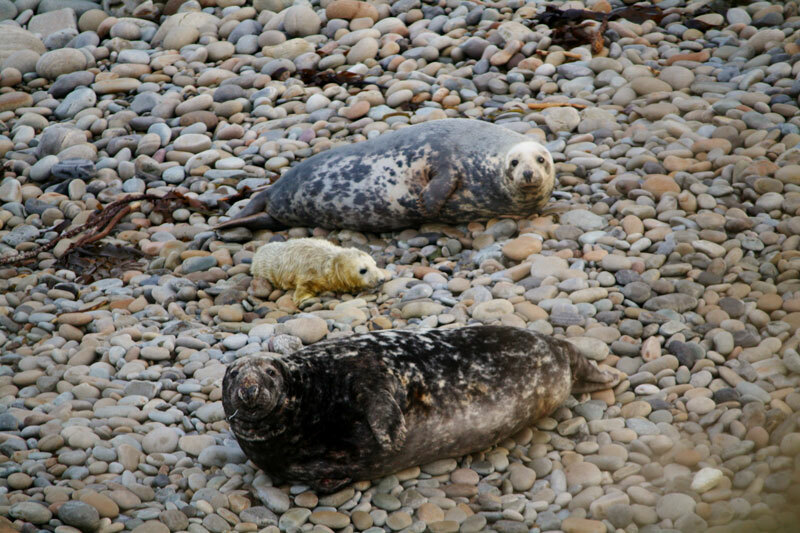 The autumn after we’d moved to Orkney, the Scapa Flow Landscape Partnership Scheme put on a walk to see the seal pups at a particular bay in South Ronaldsay. 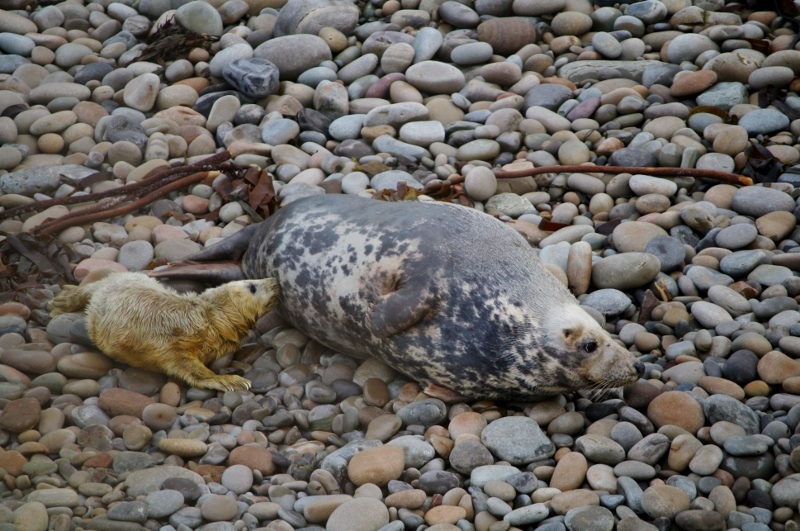 There are many sites around Orkney where the seals pup, but as we knew this one we decided to head there. 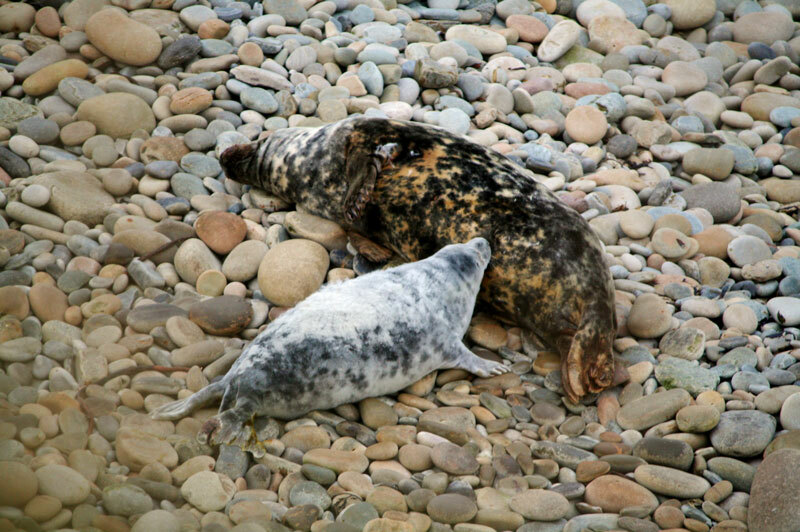 As you can see from the photos, the pups were at various stages of development, some obviously older than others. 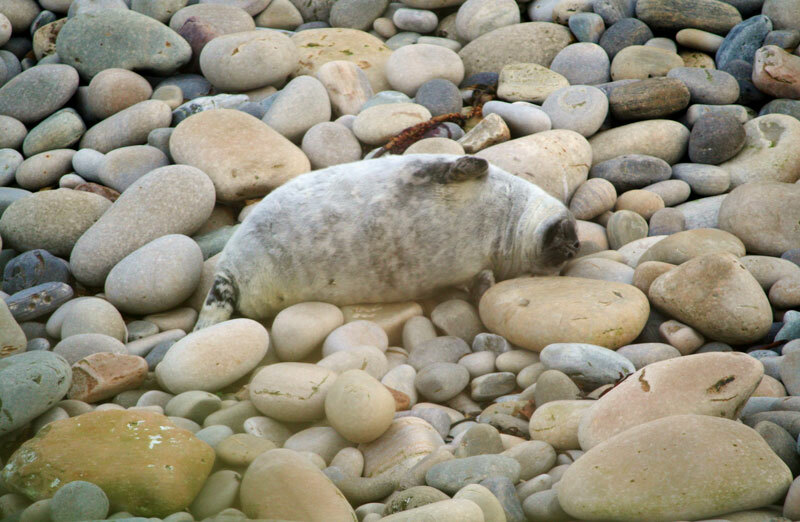 I want to point out that these photos were taken with a zoom lens from a safe distance, lying down on the cliffs above. 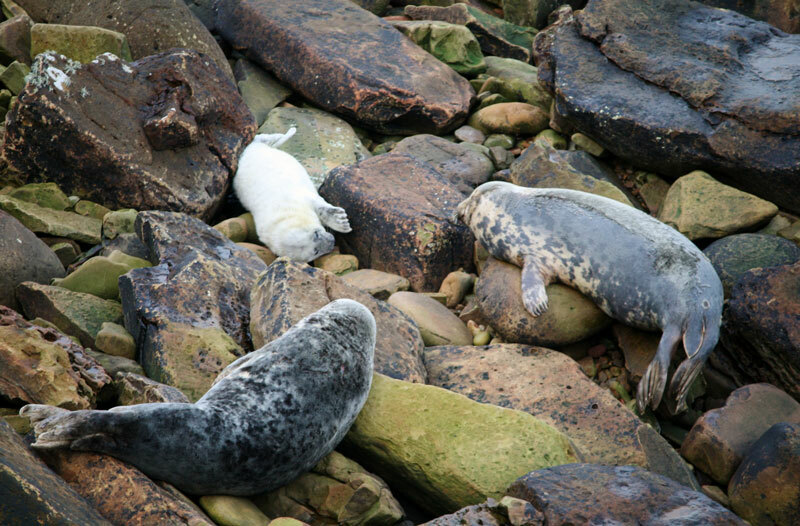 Even with being quiet and careful not to disturb them, it’s obvious in the photos that we were spotted most times. 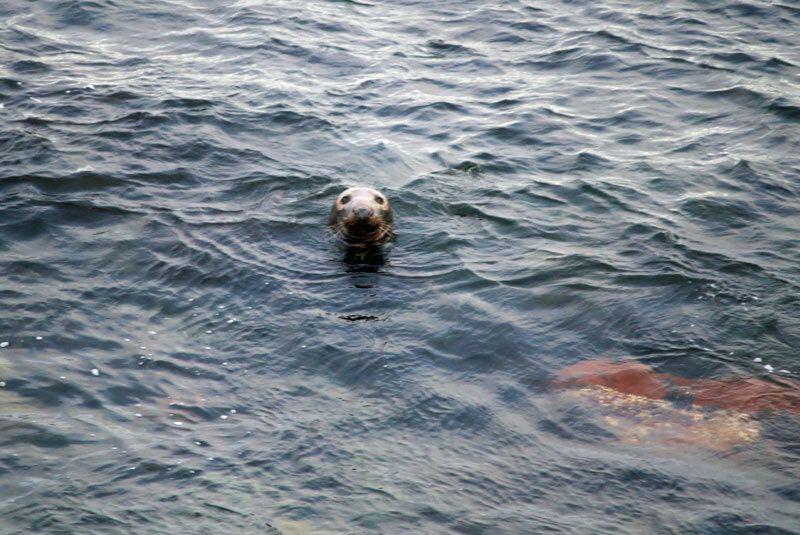 We moved on quickly and quietly, to minimise disturbance. 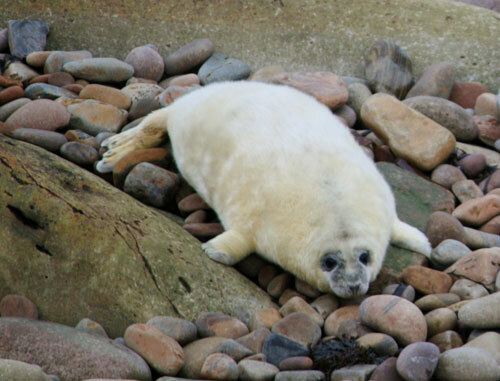 They are ridiculously cute, and make the most mournful sound. Hope you enjoy the photos. How does this baby make this look comfortable?